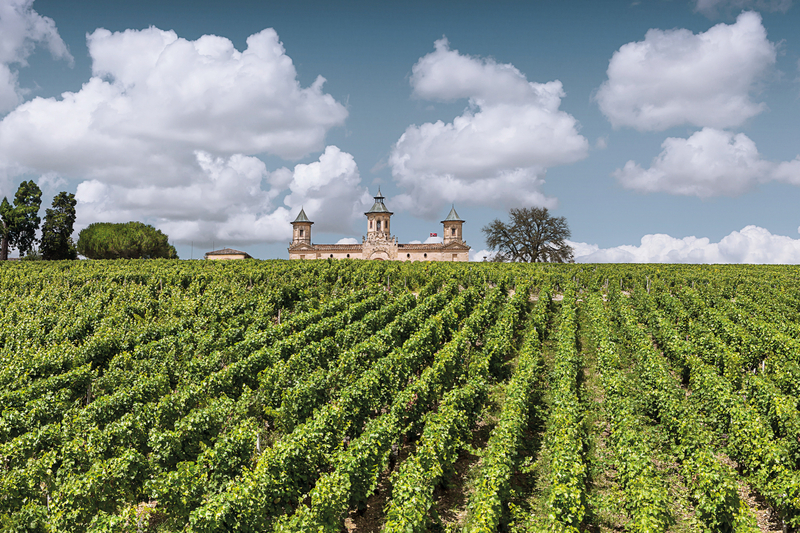 The wines of Château Cos d’Estournel, considered a Second Growth in the 1855 Bordeaux classification, are breathtaking. But what’s truly majestic is Pagodes de Cos, the chateau’s second wine, which was first made in 1994 under the name Marbuzet. Wine toThe plots on which Pagodes is grown tend to mature later than the rest of the vineyard, resulting in wines that have lighter tannins yet retain the gorgeous aromas of fruit. The vines aren’t that old — 35 years on average — so one gets to taste the results of gently determined growth. At a tasting of four Pagodes vintages — 2009, 2010, 2011 and 2015 — my top pick is the 2009, whose intensity and opulence is balanced by a silky freshness, its nose evoking notes of almond paste and melon jam. However, the chateau’s CEO, Raphaël Reybier, chooses the 2010. With liquorice and tobacco, and a finish as long as the 2009’s, it exhibits complexity, with unusual characteristics that are the result of the terroir’s ability to adapt to atypical weather conditions — a drier summer, though some rain occurred when merlot flowers first appeared. Meanwhile, the 2011 goes down better than the 2012, which tastes young still, and the 2015 is surprisingly good and can keep longer than one might expect. Going for around US$230 a bottle, it’s a real sleeper, with ripe tannins and lushness to the fruit — a gorgeous blend at 44 percent Cabernet Sauvignon, 46 percent Merlot, six percent Cabernet Franc and four percent Petit Verdot. Wine critic Jancis Robinson says its dark, fragrant aromas are good for 2021-ish drinking. Château Cos d’Estournel’s CEO, Raphaël Reybier. Château Cos d’Estournel is named after Louis-Gaspard d’Estournel, who founded it in 1811. The 91-hectare estate in St-Estèphe lies north of Pauillac, on a south-facing gravel ridge just north of its equally famous neighbour, Château Lafite Rothschild. “Cos” in the old Gascon dialect means “hill of pebbles”, which aptly describes the soil – clay, gravel, sand and limestone. “The people from the south say ‘co’ — the ‘S’ is silent — but I say ‘cos’,” says Reybier, who joined Cos d’Estournel in 2013, after completing his bachelor of oenology studies at the University of Burgundy. He’s pleased to know that I’d met one of his predecessors, Bruno Prats, who sold the chateau in 1998 to the Merlaut family and Argentinian investors, who in turn sold it in 2000 to current owner, entrepreneur Michel Reybier, Raphaël’s father. In 2003, the winery produced its third wine, Goulée, from a vineyard the Reybiers own in the Medoc, which is half the price of the Pagodes plots and produces 6,000 to 10,000 bottles a year. “It’s not an easy thing to do, though we try to do our best even on affordable wine,” says Reybier wryly. Cos d’Estournel, incidentally, also owns the Tokaj-Hétszőlő estate in Hungary. The chateau’s futuristic-looking chai, where wine is aged and stored.